Our staff are the beating heart of everything we do. We deliver an experience that changes our customer’s perception on what can, and should be delivered onboard every jet flying. The only way we can do that is by having members of our team that are dedicated to being the best they can be, whether that challenges them or comes naturally, we allow you to be yourself while helping us to build a better and more innovative service. If you want to be a part of a revolution and join our ever-growing team, then please look at the current opportunities below and respond accordingly. Reporting to the Senior Chef on duty, the role of the Kitchen Hand is to support the chef team in all aspects of the cleanliness and preparation for the operation of the kitchen. You will be working on a 12 hour shift basis which will cover both day shifts and night shifts. You will be involved in all aspects of kitchen and the wider facility cleanliness and also assisting the chef team in preparing equipment, taking deliveries of food items and also assisting in the preparing of food and food stock items. This role is a great opportunity to lean all aspects of kitchen operation and is a great entry in to a culinary career with an exciting, fast growing company. We are searching for hard working and reliable candidates for the role of Commis Chef in our facility at Church Crookham. We operate 24/7 and all members of the team do a mixture of shifts including days, evening and night shifts. The successful candidate will be assisting in the preparation of all food mis en place, will assist in the smooth and efficient production of food from the section by working and liaising with other sections of the kitchen staff at all times and will be following procedure to ensure that daily deliveries are correctly checked in, that all food stuffs are date labelled and that stock levels, rotation and wastage are carried out in the correct manner, amongst other duties. We are searching for hard working reliable candidates for the role of Chef de Partie at our facility in Stansted Airport. The successful candidate will be reporting to the Head Chef, to provide the agreed standard of food service during the hours whilst they are on duty ensuring that all food production and operation adheres to company expectations. They will supervise and assist in the preparation of all food mis en place – ensuring each section of the kitchen has all necessary work completed prior to the commencement of service, will also supervise the smooth and efficient service and production of food from the department by working and liaising with other departments at all times and will ensure that the agreed standards of food preparation and presentation are supervised and adhered to every single time. Reporting to the Inflight Manger, for operational and customer service issues. 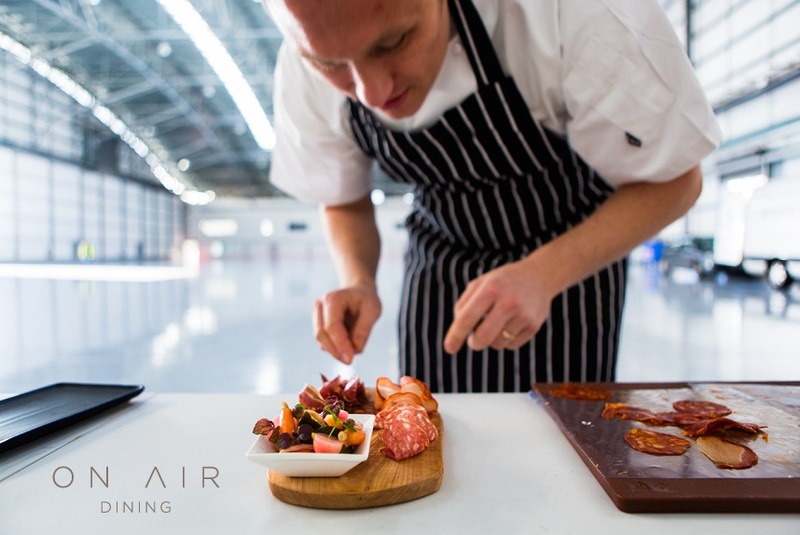 The role of the Inflight Culinary Concierge is to take full responsibility for all aspects of taking, processing and delivering our products and services to our customers. Using the resources and team available to them, they will ultimately be accountable for ensuring that the orders placed by our customers are fulfilled to the specification that has been requested and delivered in the time stated. This includes ensuring that the team delivers the highest level of customer service to achieve the highest level of customer satisfaction.